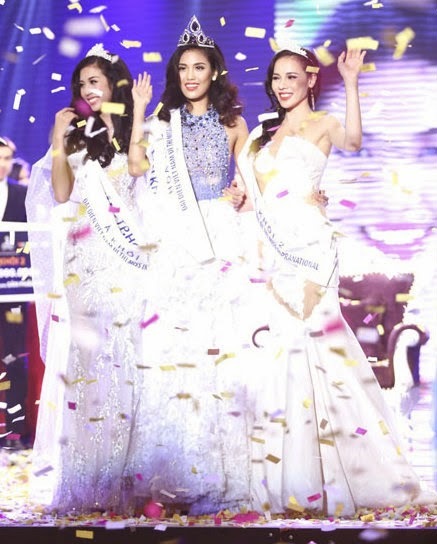 23 year old Tran Ngoc Lan Khue was crowned Miss World Vietnam 2015 earlier this month. She stands 1.76m tall and will represent Vietnam at Miss World 2015. The first runner-up was Pham Hong Thuy Van. She is 23 years old, stands 1.72m tall, and will represent Vietnam at Miss International 2015. Nguyen Thi Le Quyen (23) was named the 2nd runner-up. She stands 1.72m tall and will represent her country at Miss Supranational 2015. The winner is quite striking and so is the runner-up on the left!